Typically, our Saturdays are pretty booked up during the summer. If we aren&apos;t out on vacation or visiting grandparents, we are trying to catch up on housework and yardwork that we didn&apos;t get to while we were on vacation or visiting the grandparents. With three little ones, there&apos;s always something to pick up! This past weekend, we finally got an easy Saturday. The housework was minimal and was done before lunch. Nothing was pressing in the yard. It was turning out to be a pretty lazy day. As I was sitting here trying to will myself into editing some photos, Beth was thumbing through Facebook on her phone. 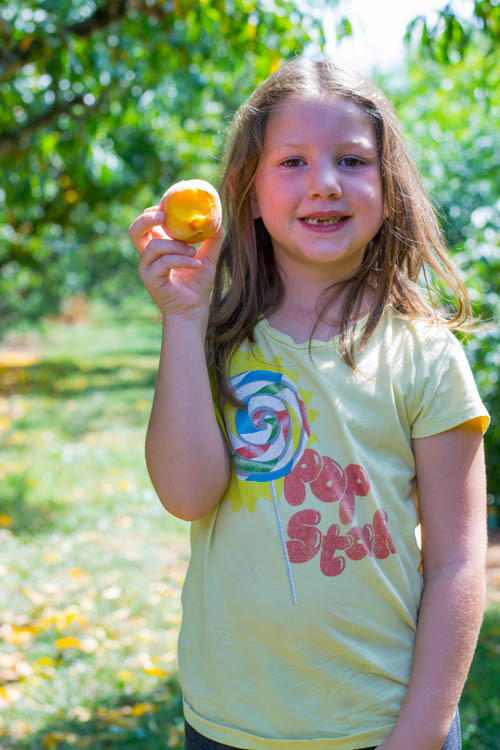 She found that the nearby peach orchard was picking. With Grace having recently found a new love for peaches, I thought that an afternoon spent picking peaches would be a fun distraction. 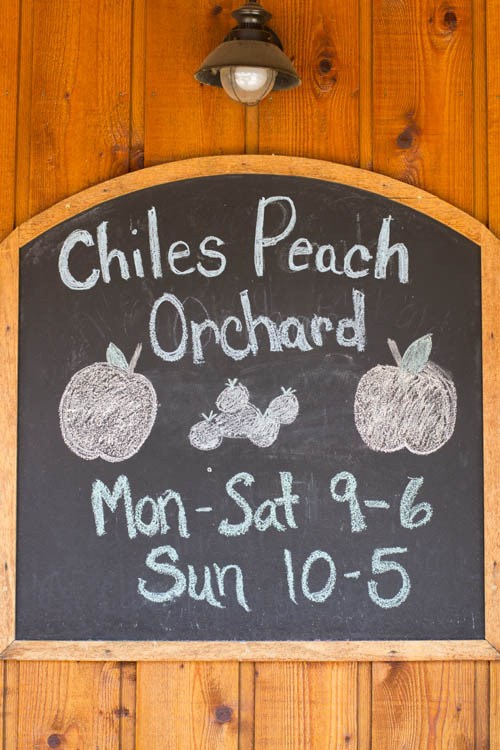 If you live in the Charlottesville, VA area and are looking to pick peaches, Chiles Peach Orchard is pretty much your go to. 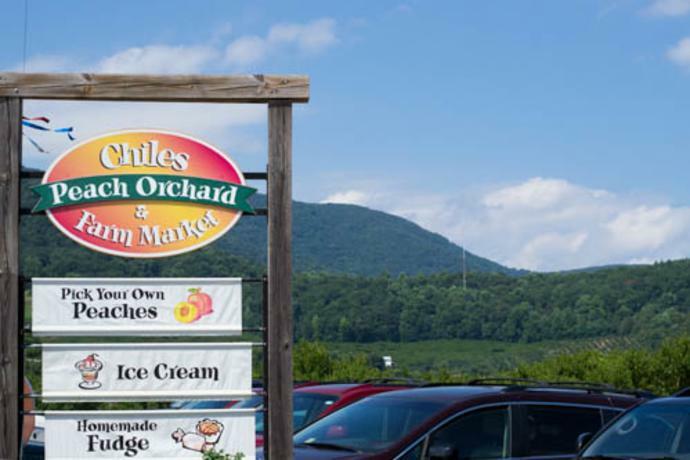 It is actually out in Crozet, VA, just a few miles away, and a beautiful drive into the heart of the Blue Ridge Mountains. 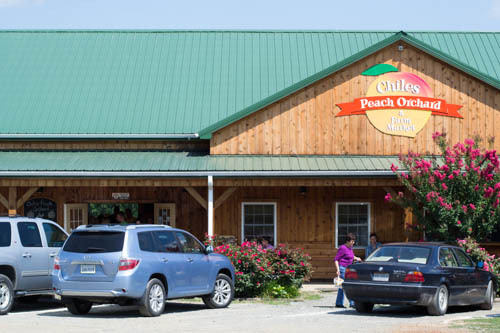 So we headed out, checked in at the Farm Market to find out what they were picking and which rows to pick in and we got on our way. 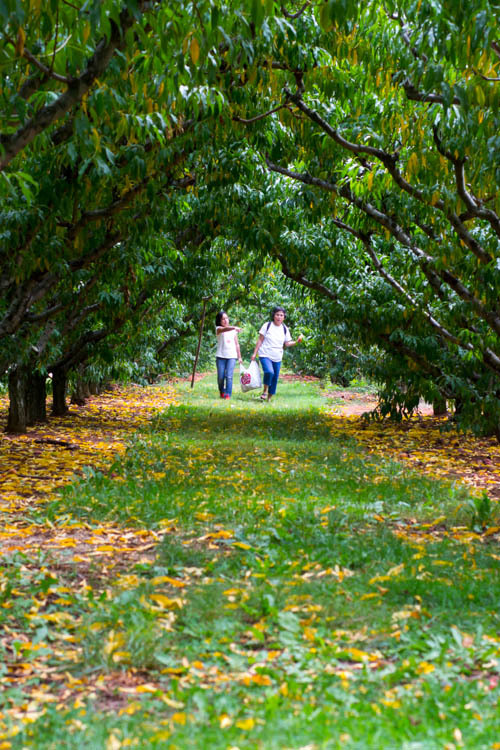 There&apos;s something sort of peaceful about walking through an orchard. 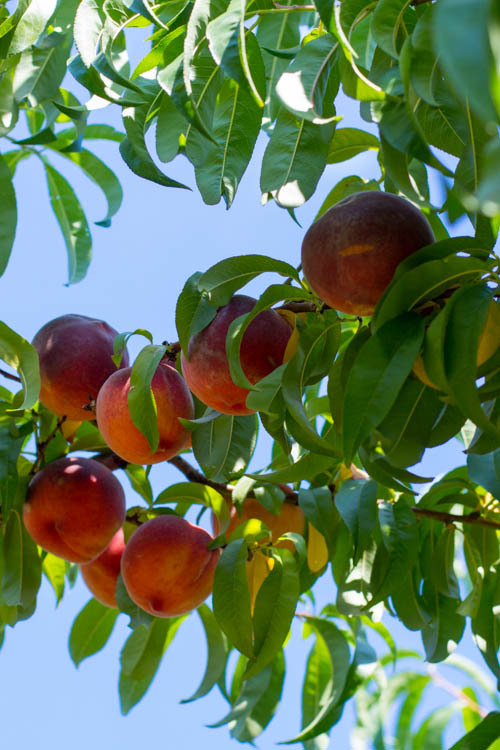 As crowded as the Farm Market was, the rows of peach trees were very quiet and relaxing and I very much enjoyed touching the food where it is grown rather than rifling through an over-picked bin of under-ripe produce at the grocery store. I think I can just let the photos tell the rest of this part of the story. 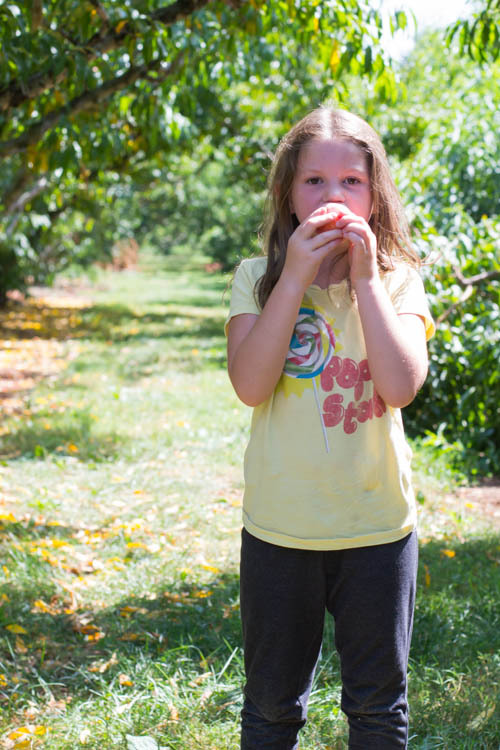 The best part of the trip is paying for your pick and then just biting into a perfectly ripe and juicy peach right there in the orchard. So yummy! Make sure you lean forward a little so that you don&apos;t get the juice all over yourself! 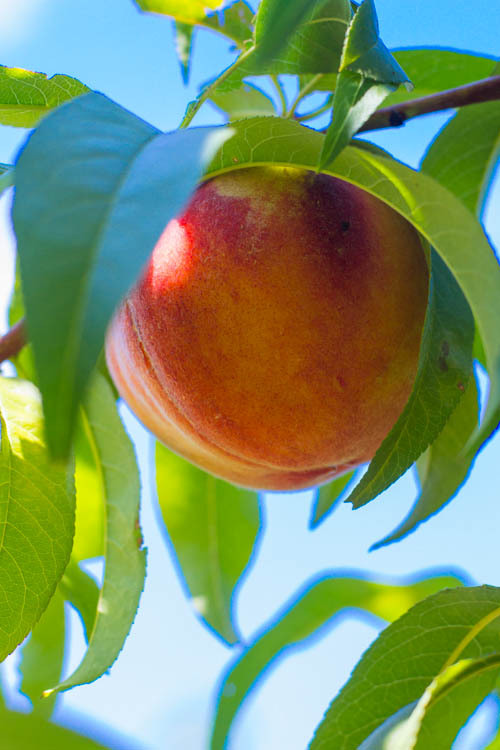 After you get the peaches home, that&apos;s when the work begins. That&apos;s when a lazy Saturday turns into a busy Sunday. 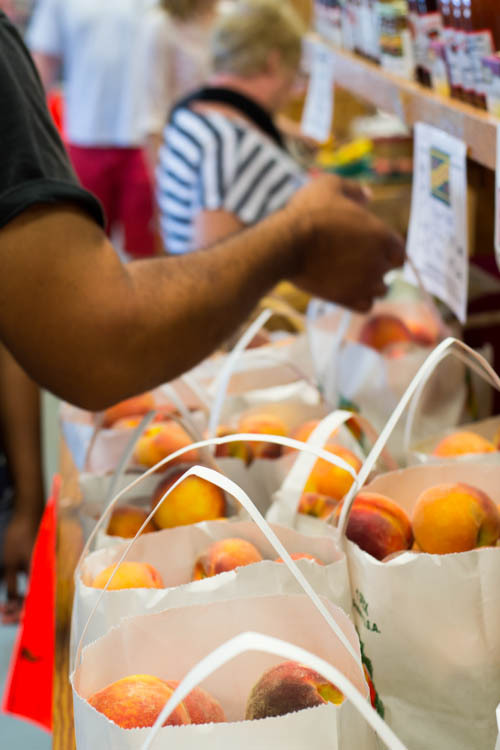 You can do so much with them...peach butter, peach jam, canned peaches, peach cobblers. My favorite, though, is a lovely peach pie. When I&apos;m just not feeling up to the perfection that pie requires, I lean to crostata (recipe below), a free-form, rustic style of pie that is incredibly easy to put together and always gets "wow" results. So how do you spend a lazy Saturday afternoon? Any local places that you love to visit? Leave a comment and share your story. For crust: Pour flour, oats, sugar, and salt into the bowl of a food processor fitted with a steel blade. Pulse to combine. Add diced butter and pulse until crumbly, 12-15 times. With the motor running, add ice water 1 Tbsp at a time until dough just comes together. Turn dough out onto a well-floured board and knead until smooth, adding more flour as necessary. The dough should not be sticky. Form the dough into a flat disk, wrap in plastic and refrigerate for 1 hour. After an hour, unwrap the dough and place onto a well-floured surface. Roll the dough into a large circle, 11-12 inches. It doesn&apos;t have to be perfect. Just get close. Transfer the dough to a baking sheet lined with parchment paper. 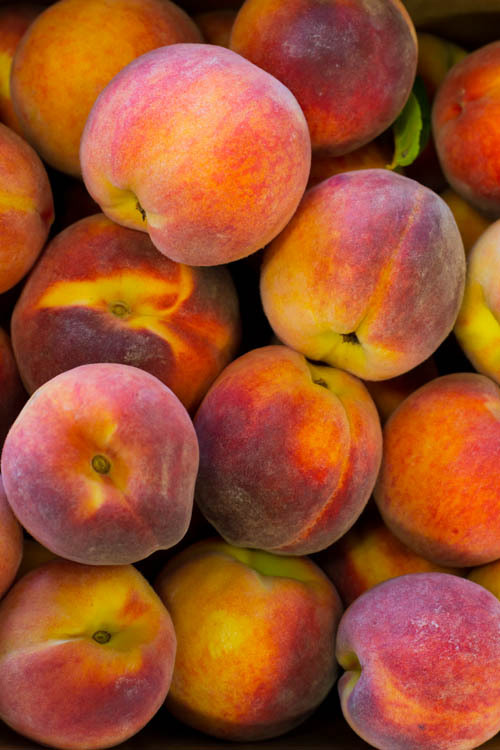 For the filling: Remove pits from peaches and cut into wedges or chunks. Place into a bowl with the blueberries, 1 Tbsp flour, and 1 Tbsp sugar. Combine well and pour into the middle of the dough circle leaving a 1-2 inch border. 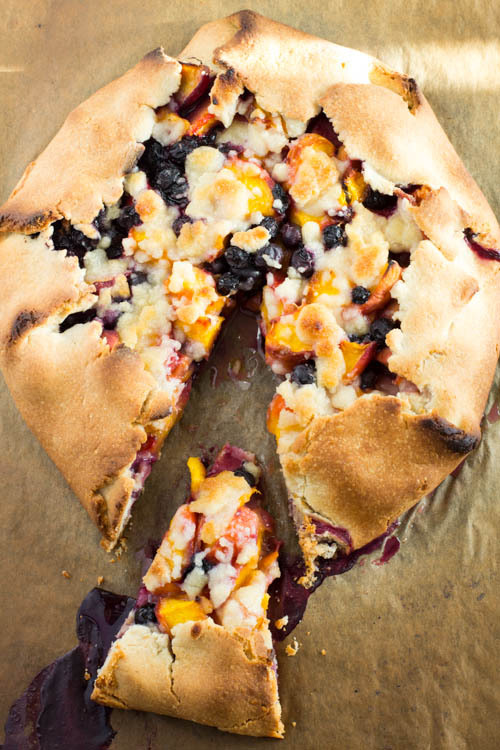 Fold the edges of the dough circle over the fruit, being careful not to tear they dough. In a separate bowl, using a fork and/or your fingers, combine 1/4 C flour, 1/4 C sugar, salt, and butter until crumbly. Sprinkle evenly over the fruit. Bake for 25-30 minutes, or until the crust is golden brown. Let cool on the baking sheet for 5-10 minutes before transferring to a wire rack to continue cooling. Serve warm or at room temperature with a scoop of vanilla ice cream.